It's been said that silent gratitude isn't much use to anyone. When you express those two simple words, Thank You, on a printed thank you note, you are expressing gratitude in the sincerest form. Whether out of duty or simply heartfelt, let someone see and feel your appreciation on a beautifully designed, quality printed thank you note from LookLoveSend.com. Our original designs for wedding thank you notes, baby shower thank you notes, party thank you notes and more reflect the same quality and beautiful design of our other special occasion stationery collections. From weddings, baby showers, birthday parties and more, all of LookLoveSend's special occasion collections include thank you notes you can coordinate with those invitations and announcements. Be prepared with a set of your thank you for your next special occasion. 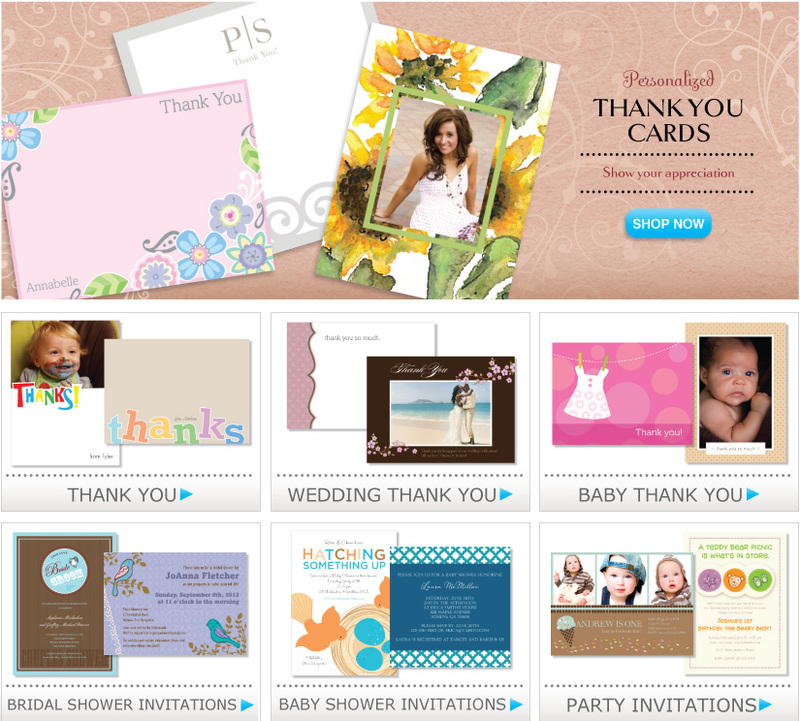 Or, shop LookLoveSend.com to have a beautiful set of thank you notes at hand for any occasion. Next time you host a party, such as a bridal shower, bachelorette party, baby shower or anniversary party, ordering thank you notes in a design coordinated with the occasion makes a great gift.